INCREDIBLE Location in upper Table Mesa on HUGE .275 acre lot w/ mountain views! Lovingly maintained by same owner for 35+ yrs. Awesome hardwood floors under carpet throughout main level. 3beds/2baths on main level, 4th non-conforming bed in bsmt, plus office or 5th bedroom, 3/4 bath & large rec room w/ fireplace. 2 wood burn fireplaces. Super quite as it's tucked back in the cul-de-sac & surrounded by mature trees. Expansive & absolutely beautiful backyard. Remodel or pop-the-top; potential galore! 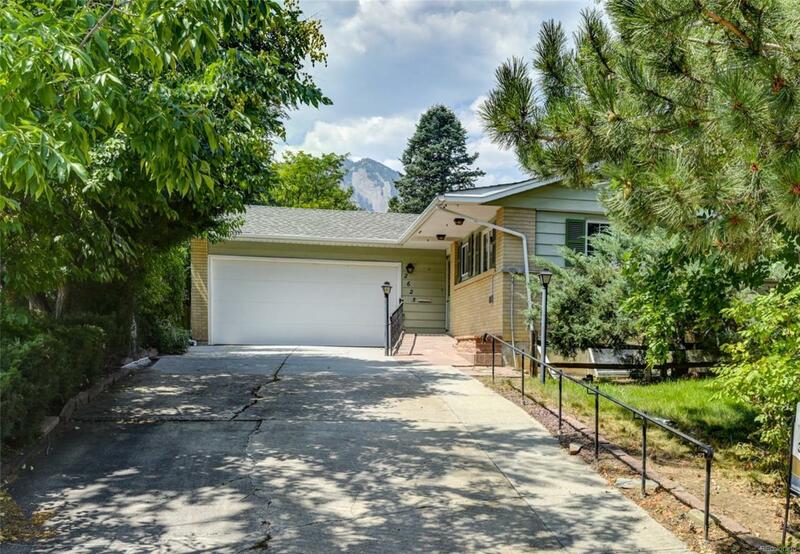 Close to top rated Bear Creek Elementary, miles of open space/trails, park. Offered by Mock Realty Company.